Jean-Luc Marion is one of the major voices in philosophy these days. He is both prolific and well-received by philosophers and theologians. Marion knows the philosophical tradition well. For example, he began his career as an expert of Descartes and has written extensively on Descartes. Although he is a Christian thinker, Marion’s excellent scholarship has won wide acceptance in secular circles. In addition to his theological contributions, Marion is a major player in the field of phenomenology. Husserl’s motto (with Kant in mind) was: “to the things themselves.” However, Husserl did not overcome the problems of Kantianism. As Kant himself points out, God sees the world in a way entirely different from the way in which we see it—God sees it all at once (uno intuitu), not discursively as we do. If you accept that, then you must ask whether the world is really the way God sees it or the way we see it. Husserl addresses this problem, and though he is unable to solve it, he introduces the concept of the “givenness” of phenomena. Marion takes this Husserlian insight and tries to show how “givenness” allows us to escape from the Kantian problem. Marion is thus able to utilize insights from Heidegger and Husserl in order to work toward a solution to the problems raised by Kant. In addition to his excellent scholarship and intimate familiarity with the tradition, Marion pushes us forward with his distinctively postmodern insights. Inviting us to see things from new and unexpected angles, he often engages in a deconstructing or subverting project. Personally, I find Marion’s desire to introduce a “new subject” among the most intriguing aspects of his project. Instead of the modern, all-controlling and even idolatrous subject, Marion pursues a subject who subjects himself and is thus constituted by the situation. Nonetheless, Marion, does not want to do away with all modernist assumptions, nor does he desire to return to a pre-critical realism. In Marion, we encounter both an embracing of and a moving beyond modernist assumptions. Combining pre-modern, postmodern and a selective sprinkling of modernist insights, Marion releases the closed-in Kantian subject and gives us a new subject who can be overcome or “bedazzled” and re-constituted as a witness to the Other whom we know as love. Anyway, stay tuned for another poll soon on modern Anglican theologians (no, I’m not joking). Chris Tilling and Jim West have both been talking with great enthusiasm about Hans Hübner’s new book, Evangelische Fundamentaltheologie (Göttingen: Vandenhoeck & Ruprecht, 2005); and Jim has written a very insightful and sympathetic review of the book for the next issue of RBL. If you appreciate Gerhard Ebeling’s hermeneutical approach to theology, then you’ll no doubt want to read this book as well. For Hübner, the “principle of all theological hermeneutics” is that “only the one who believes in God can understand God” (p. 99). Faith and God belong together: “Where God is, there is faith. 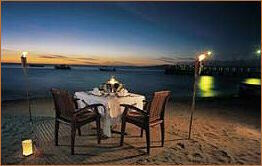 And where faith is, there is God” (p. 210). It seems to me that the whole of theology is summed up in these words. “Christian theology is properly evangelical, because it is generated by the gospel” (Word and Church, p. 110). This line near the end of John Webster’s discussion of Barth and Bonhoeffer stands like a banner over his own dogmatic work. Webster represents the future of English systematic theology simply because of his unwavering attention to the gospel—to the gracious Word of God incarnate, written, and spoken. To borrow a concept from Barth and developed by Eberhard Jüngel—both Barth and Jüngel are mentors as well as scholarly interests—Webster is committed to “thinking after” and “speaking after” God’s own speech in the Word of the gospel. I was in my third year at Wheaton College when John Webster came as the keynote speaker for the annual theology conference. As usual, he demonstrated his characteristic concern for dogmatic precision. Webster refuses to compromise when the gospel is at stake. He insists on theological clarity in order to preserve what must be preserved: the distinction between Creator and creatures; the perfection of God; God’s being-in-act as a being pro nobis. Webster is a brilliant expositor of Barth and Jüngel. He is largely responsible both for the current renaissance in Barth studies and for whatever interest exists in Jüngel in English-speaking countries. His own dogmatic work continues to grow and take shape in response to these two figures. When I was speaking with him last week at a Barth conference, he told me about his current work on a commentary on Ephesians, and he said that in perhaps five years his own systematic theology will be well underway. Whether his focus is on Christology, the canon, hope, holiness, Holy Scripture, or the attributes of God, Webster pursues what he calls a more “theological theology,” whose distinctiveness lies “in its invocation of God as agent in the intellectual practice of theology” (Confessing God, p. 25). The triune God of grace is not only at the center of his work, but actually shapes it as the God who acts. Webster knows that he only receives what he is given. In an introduction to the recent English edition of Jüngel’s Justification, Webster writes the following about Jüngel’s polemicizing: “for Jüngel, contending about the truth is itself a contribution to ecumenism, since it is the truth of the gospel which is the only ground of the church’s peace” (pp. xiii-xiv). The same can truly be said of John Webster himself. —Karl Barth, letter 18 January 1967, in Letters, 1961-1968 (Grand Rapids: Eerdmans, 1981), p. 234. —Ulrich Zwingli, Opera (Turici, 1842), 3:157. This afternoon I went to a performance of Mozart’s beautifully intimate Clarinet Concerto, conducted by Werner Andreas Albert. I wondered where he got these facts, so I started looking. Lo and behold, his story about the key and the organ turned out to be wholly apocryphal. And so, I reasoned, his opinion about Zwingli concerning music must be wrong as well—as it was. Zwingli didn’t hate church music—he was himself an accomplished musician, playing more than a dozen instruments! It was the abuse of music in the church that Zwingli despised. So, if the Prof were wrong about these things, it seemed to me, he must also be wrong about Zwingli altogether. Zwingli was no maniac; he was the most pastoral and most conciliatory of all the great reformers, and he deserved better than he was getting at the hands of scholars who blindly loved Luther. Thus began my life-long interest in discovering the real Zwingli. To summarize what this great man means to me in a short space is utterly impossible. 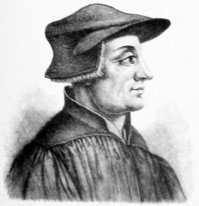 I must be content with simply suggesting that, of all the magisterial reformers, he alone and singularly demonstrated that “faith without works is dead.” Luther was possessed by his own notion of “faith,” and Calvin was possessed by a desire for “works”; only Zwingli held the two together in proper tension. Only Zwingli was a pastor. Only Zwingli was the absolute combination of scholar, theologian, and preacher. That’s why I love Zwingli. He is what I have always wished—and have failed so miserably—to be. Preaching is hard. Damn right it is. 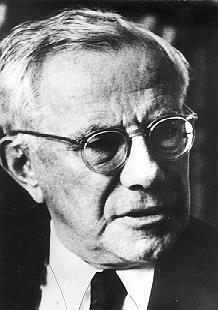 My first encounter with Paul Tillich was within the first weeks of my theological studies. Obviously this was not a course I was supposed to take, but I had bluffed my way in. One of the texts we worked with was the final chapter of Tillich’s The Courage to Be. This is not an easy text, especially taken out of its context like that. But something made me read it again and again. A few years later I read the whole book and I decided to write my Master’s thesis (or pro gradu as we call it in Finland) on Tillich and the Systematic Theology. Many people find Tillich’s language difficult. All this talk of “being,” “ultimate concern,” “self-alienation.” But for me, then completely fed up with conventional religious language, this was enlightenment. It was like I had been given back my faith. Reading the system was an overwhelming experience. It was as though Tillich put into words every vague notion I had ever had. Suddenly everything made sense. The genius of Tillich’s method is that it creates meaning. Everything becomes relevant. The system is based on experience. It is not the product of cool reflection; it is about getting involved in the world and in the revelation. I think this was what made me “fall in love” with Tillich: he completely rejected the notion that being Christian meant existing on some higher plane than the rest of the world. He showed that culture and religions are two sides of the same coin: only a false religion separates them. Tillich’s reinterpretation of the Christina doctrine enabled me to see that theology is a way of life, not a body of information. There are no limits whatsoever to what theology can be or what can be theology. Is it true that there is “nothing new under the sun”? In any case, one new thing under the sun this month is Byron’s excellent new blog entitled Nothing New Under the Sun. This is our new blog of the week. I had the good fortune of meeting Byron in Sydney last week—he’s an excellent chap who has studied both theology and philosophy, and he has special interests in things like Moltmann, Augustine, Nietzsche, Barth and eschatology. His new blog reflects his diverse interests, as well as his own lively theological insight. So make sure you pay a visit to Nothing New Under the Sun. The ever-watchful Jim West informs us that Hermann Gunkel’s great work, Schöpfung und Chaos (1895), will soon be released by Eerdmans in a full English translation. If necessary, you might want to sell a dozen of your other books about creation-theology and buy this one. Christian tradition is like a French cathedral: one cannot come directly into its breadth, but must enter through a particular portal. When I encountered Hans Urs von Balthasar in his books, I was a college dropout with a love of reading and a faith that had persisted from childhood despite my confusion and lack of focus. In Balthasar, I discovered the heart of Western (literary) tradition in the person of Jesus Christ. And Balthasar also educated me to discover a way of living that tradition in my everyday life. Balthasar showed me that the beauty of the Western cultural tradition is Christ, a beauty Who is symphonic and thus capable of bringing together a dazzling pluralism of temperaments. In his survey of Theological Aesthetics (Clerical Styles, Lay Styles), Balthasar explores the breadth and depth of this tradition through its most original and lucid representatives: Irenaeus, Augustine, Dionysius, Anselm, Bonaventure, Dante, John of the Cross, Pascal, Hamann, Soloviev, Hopkins, and Peguy. This chorus of voices cannot be systematized, but together they sing the diverse approaches to Christian beauty found in other authors. Seeing the Form (Volume 1 of the Theological Aesthetics) set before me the ideal of the Christian form of life. For Balthasar, formation is based on the form of Jesus Christ found in the Gospels and encountered decisively in experiences synthesized in the Spiritual Exercises. Together with Adrienne von Speyr, Balthasar developed the theme of the Christian life as transparency to the splendor of Christ. This splendor is rooted in listening to the Word of God through Scripture (see Prayer), lived out by following the path that Jesus walked in coming to us (see The Threefold Garland), and expressed through missionary kenosis (see Mysterium Paschale and The Moment of Christian Witness). —Karl Barth, Ethics [lectures from 1928-29], ed. Dietrich Braun (New York: Seabury Press, 1981), p. 510. What is the centre of Old Testament theology? Or does it even have a centre? Pop over to Joe Cathey’s blog and cast your vote in his new poll. Great theologians are like icons rather than religious paintings: you not only look at God, God looks at you. The theology of Rowan Williams is iconography. In it we meet the gaze of God. It is the look of agape. Not since Barth—an immense influence—have I felt so love-touched by a theologian. But the divine gaze is an x-ray of penetration, revealing the cor inquietum (Augustine is probably Rowan’s most significant theological other), exposing the self-love and self-hatred that infect the human project, and the self-deceit that blinds us to both. Rowan is completely conversant with postmodernism, but he doesn’t need Derrida to resource his own hermeneutic of self-deconstruction and social suspicion. Iconoclastic as well as iconographic is Rowan’s theology. In fact, there is hardly a language-game Rowan cannot play (Wittgenstein is another mentor). He quite promiscuously quarries a range of traditions and thinkers for iconic gold—and finds it in the “silence and honey cakes” of the desert fathers; in the “muddle and silliness” of the saint John Wesley; in the exultant poetry of George Herbert and the dark fiction of Flannery O’Connor; not to mention in that contemporary pop-cultural “icon” Homer Simpson! Rowan’s theology plays as well as prays (as in attendre, “dropping into what is there”). It is also politics. Its “social programme is the dogma of the Holy Trinity” (Nikolay Fyodorov): inclusive (no voices silenced), egalitarian (on hierarchical power, “think of what Coca-Cola does to your teeth”); pacific (based on “the truce of God”); and deeply enfleshed (“The Body’s Grace” is already a classic on both the “precariousness” and the creative possibilities of desire, gay as well as straight). Not to forget Rowan’s personal holiness, at once profound and prosaic. Rowan is such a nice guy, reserved and vulnerable, yet warm and with-you, gaze for gaze. Perfect? Not quite: Rowan doesn’t like sports—and he is too uncoordinated even to drive. After a meeting in Aberystwyth he once hitched a ride with me to Swansea. With my own focus more on Rowan than the road, he probably wished he’d taken the train! Thanks for all the great suggested titles for this new series. In the end, I decided on Dan’s suggestion, “For the Love of God.” Kim Fabricius emailed me a good suggestion, too: “Godfathers.” As a great admirer of the Godfather films, I was tempted to go with this one—except that a number of the theologians in the series are women (and “Godmothers” doesn’t have quite the same ring!). So the full title of the series is “For the Love of God: 20 Theologians and Why We Love Them.” And now that it has a name, we can finally get started—so the first post in the series should be appearing within the next day. 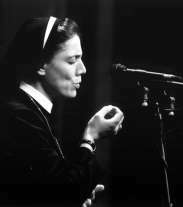 All in all, there will be 20 posts on a range of Catholic, Protestant and Orthodox theologians. Although the series will focus mainly on contemporary theology, there will also be posts on some significant and interesting historical figures. The purpose of the series is not to survey a bunch of “great theologians,” or to come up with a list of the most important theological thinkers. Instead, I have simply asked each contributor to explain why he or she loves a particular theologian. So the series is meant to be subjective and personal; it’s meant to offer a glimpse of why particular theological thinkers have become important to different people. In other words, the series is as much about “love” as it is about “theologians.” Why is it that the experience of love is so closely tied to theological study? Why is it that we are really deeply influenced only by those thinkers to whom we open ourselves in love? Why is it that the absence of love so often constitutes an obstacle to genuine understanding—so that the thinker whom we have not yet learned to love seems remote and unintelligible? This series won’t try to answer these questions directly. But it might give us an indirect glimpse of the answers, as we listen to others telling us about the theologians they love. Joshua’s excellent blog, Theologoumenon, is back in action, and there has been some great posting there lately on Moltmann and Kierkegaard. More than other traditions, Reformed theology has been characterised by a series of tremendously powerful individual personalities. For a poll, this creates a further problem: it would be ridiculous to place other modern Reformed theologians in the same poll as Barth—as though it were even meaningful to draw a comparison between Barth on the one hand, and Brunner, Torrance and Moltmann on the other. Apples are apples; oranges are oranges. For the purpose of this poll, then, I have chosen a broad historical spread of five thinkers. Since Moltmann is so popular today, I have also added him to the poll—even though I could have done more justice to the history of Reformed theology by adding another formative thinker like Zwingli or Bullinger, or a heterodox thinker like Arminius or Amyraut, or a Puritan thinker like Owen or Baxter, or a later promoter of orthodoxy like Warfield or Bavinck. Anyway, come and cast your vote—and if your own preferred Reformed theologian wasn’t included on the poll, let us know whom you would have voted for. Alister McGrath has just sent me a copy of his latest book, The Order of Things: Explorations in Scientific Theology, which is due for release within the next month. The book begins with my own chapter outlining McGrath’s “scientific theology,” followed by nine essays in which McGrath develops various aspects of the dialogue between theology and science. He explores in depth topics such as natural theology (he is also currently writing a whole book about this), emergence and stratification, biological evolution as a model for doctrinal development, and the church as an empirical reality. The volume also contains methodological reflection on the way to go about constructing an entire “scientific dogmatics,” which is McGrath’s major project for the future. McGrath has been publishing prolifically on theology and science in recent years; but I reckon this new collection of essays contains some of his most interesting and most creative work to date. I’ll be starting a new series shortly, in which various guest-bloggers will explain about why they love certain contemporary or historical theologians. There will be guest-posts on many theological thinkers from a range of Christian traditions—people like Jonathan Edwards, Jürgen Moltmann, Hans Urs von Balthasar, Henri de Lubac, Eberhard Jüngel, Hans Küng, Rowan Williams, John Webster, Kathryn Tanner, and various others. But there’s just one problem: I haven’t been able to think of a title for the series. And I can’t start the series until I have a title. So please give me some suggestions! Thanks to all those who voted in the latest poll. A remarkable 47% said that Bonhoeffer was their favourite modern Lutheran theologian, compared to only 5% who voted for Bultmann (even though Bultmann was, of course, a far greater theologian!). But I was surprised above all by the fact that Eberhard Jüngel—one of the most agonisingly difficult theologians ever to walk God’s good earth—came second with 17%, ahead of Robert Jenson (16%) and Wolfhart Pannenberg (15%). Nothing could have delighted me more, since Jüngel is my own favourite living theologian! I’ll be in Sydney until Friday, teaching a course at Moore Theological College. I won’t be online much, but I’ll try to keep posting now and then throughout the week. 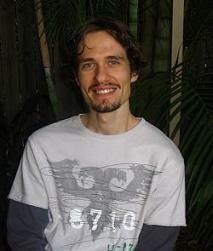 So if you’re in Sydney and you happen to see this friendly face, make sure you stop and say hello! I was deeply saddened to learn that our greatest contemporary church historian, Jaroslav Pelikan, has died. Pelikan passed away on Saturday at the age of 82, after a long battle with lung cancer. 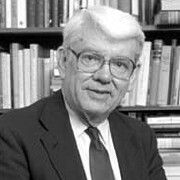 He was the Sterling Professor Emeritus of History at Yale University, where he served on the faculty from 1962 to 1996. He wrote more than 30 books, including the brilliant 5-volume work The Christian Tradition, which is perhaps the best single history of Christian theology ever written. He was also involved in editing and translating many historical works, including the 55-volume American edition of Luther’s Works, and the 4-volume Creeds and Confessions of Faith in the Christian Tradition. 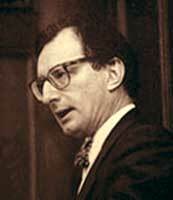 A life-long Lutheran and an ordained Lutheran minister, Pelikan entered the Orthodox Church in 1998. He was a profound and gifted scholar who will be sadly missed. —Emil Brunner, Man in Revolt: A Christian Anthropology (London: Lutterworth, 1939), 135. The sixth Biblical Studies Carnival will be hosted here at Faith and Theology on 1 June. The Carnival presents posts relating to the academic discipline of biblical studies and cognate disciplines. You can nominate either a post of your own or someone else’s post, and you’re free to make multiple nominations (but only one post per author). The posts should have been published recently, within the month of May. • The title and permalink URL of the blog post you wish to nominate and the author’s name or pseudonym. 2. Or, more simply, use the submission form here. Just select “biblical studies carnival” and fill in the rest of the information noted above. To find out more about the Biblical Studies Carnival, visit the Carnival homepage. —Ethelbert Stauffer, New Testament Theology (London: SCM, 1955), p. 56. The best new novel I have read in quite some time is the magnificent 560-page work, The Book Thief, by the young novelist Markus Zusak. It’s a powerful, compelling and humorous story about a young German girl in the Second World War who discovers books and the power of words. She also learns a very important skill: how to steal books. I think the book’s greatest achievement is its intriguing and wonderfully funny narrator. Without spoiling the story, I’ll just tell you that the narrator is not even a human being—he is Death himself (and Death has never been more endearing). Anyway, if you only want to read one new novel this year, I reckon this should be the one. I devoured it recently, and I’m already feeling like reading it again. To find out more about the novel, you can also check out the author’s very nice website. Cynthia posts a very funny quote from Alvin Plantinga on the meaning of the word “fundamentalist.” Plantinga provides a very helpful way of identifying people against whom we can use the label. One of the coolest new blogs out there at the moment is God in a Shrinking Universe, by Patrik Hagman from Finland. This is our new blog of the week. Although my own personality tends to be incurably optimistic, I think Patrik is raising some really interesting questions, and he has already written excellent posts on topics like the theology of crisis and the doctrine of creation. —Hendrikus Berkhof, Introduction to the Study of Dogmatics (Grand Rapids: Eerdmans, 1985), p. 13. Of the 95 people who voted in the latest poll, 40% said they liked Hans Urs von Balthasar best, followed by 18% who preferred Hans Küng. Karl Rahner and the Pope were next with 16% each, while Yves Congar followed with 11%. I found these results very interesting—I assumed that Balthasar would win (who could be stony-hearted enough not to love Balthasar? ), but I also thought that Rahner would be a close second. In the next week or so I’ll run similar polls to find out who are your favourite Reformed and Lutheran theologians as well. The way the term “heresy” functions in theological discourse is an immensely interesting topic. One of the most acute discussions of the concept of heresy is that of Friedrich Schleiermacher, in his Christian Faith, §§21-22. Schleiermacher’s account is especially useful for highlighting the important role “heresy” plays in the construction of dogmatic theology. 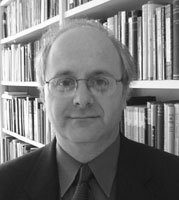 Some time ago David Congdon, a graduate student at Princeton Theological Seminary, posted a comprehensive bibliography of books and essays by Eberhard Jüngel that have been translated into English. If you’ve never read any Jüngel, then you might like to start by trying one of his shorter essays. He is a uniquely rich and stimulating contemporary thinker. Chris Tilling points us to a new Aussie blog entitled Pentecostal Discussions, which is aiming to offer serious, contemporary theological discussion from a Pentecostal perspective. I myself was brought up in a Pentecostal church environment here in Australia; unfortunately, in my experience this environment tended to be characterised by a lack both of social conscience and of theological insight—so it’s encouraging to see the emergence of a new generation of Pentecostal theologians who are concerned to think sharply about their faith. Whatever we might think of Pentecostalism, those of us in mainline traditions can learn some valuable things from our enthusiastic brethren. So be sure to keep an eye on Pentecostal Discussions. —Rudolf Bultmann, Existence and Faith: Shorter Writings (New York: Meridian, 1960), p. 169. —Nicholas Berdyaev, Christianity and the Class War (London: Sheed & Ward, 1933), p. 118. There’s a very insightful essay here, entitled “When Civilizations Meet: How Joseph Ratzinger Sees Islam.” The author, Samir Khalil Samir, is an Egyptian Jesuit who is professor of Islamic studies and of the history of Arab culture at the Université Saint-Joseph in Beirut and at the Pontifical Oriental Institute in Rome. Christopher L. Fisher and David Fergusson, “Karl Rahner and the Extra-Terrestrial Intelligence Question,” The Heythrop Journal 47:2 (2006), 275-90. And speaking of ecumenism, Thomas Adams has posted an excellent discussion of Eberhard Jüngel’s approach to the Joint Declaration on Justification. I have added a new poll to find out which modern Catholic theologian you like best—so come and cast your vote. Unfortunately the poll is restricted to five options, so I was unable to include some of the best Catholic theologians, such as Teilhard, Schillebeeckx, Daniélou, and even (forgive me!) Gutiérrez. Symphony of wonder and surprise. And vistas, heights and darkest depths. Forever in one person, forever for us all. Before the whisper of a Word. Folks, it is a great day. My friend from Tübingen, Chris Tilling, has just received a full set of the German study edition of Karl Barth’s Church Dogmatics—and all due to the legendary generosity of Jim West! Within Barth’s own lifetime, his old friend Rudolf Bultmann used to boast that he never read any of the Church Dogmatics. So could it be a sign that God’s eschatological kingdom is breaking into our midst when even New Testament scholars are now beginning to read Barth’s Dogmatics? In any case, it is a great day for Chris. To celebrate the occasion, I have written a short poem entitled “Ode to Church Dogmatics.” I once tried to summarise the whole Church Dogmatics in a single sentence; and this time I’ve tried to summarise the whole work in the form of an ode. 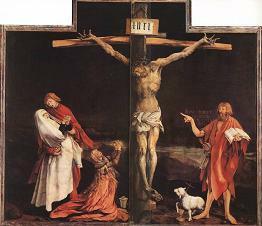 I’ll post the poem tomorrow; in the mean time, here’s a picture of Barth’s favourite painting, Grünewald’s “Christ on the Cross.” This is the picture that hung over Barth’s desk throughout all the decades in which he was writing his great Dogmatics. For more responses to the recent resurrection controversy, see the very thoughtful posts over at Chrisendom, Elizaphanian and Pontifications.